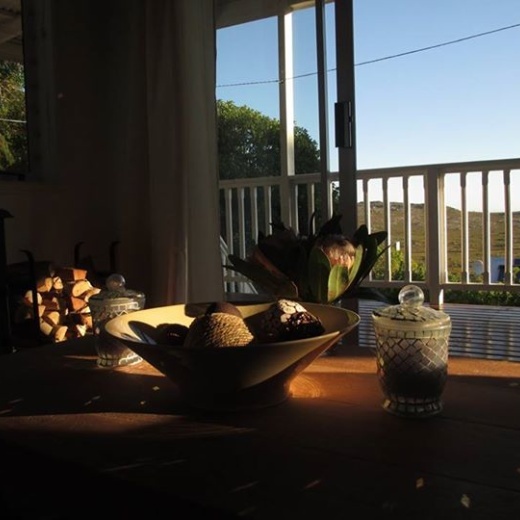 Charming, fully furnished, 3 bedroom, 2 bathroom, well-equipped, self-catering, timber-frame Cape Cod seaside holiday house with stunning views of Table Mountain National Park and the Atlantic Ocean. 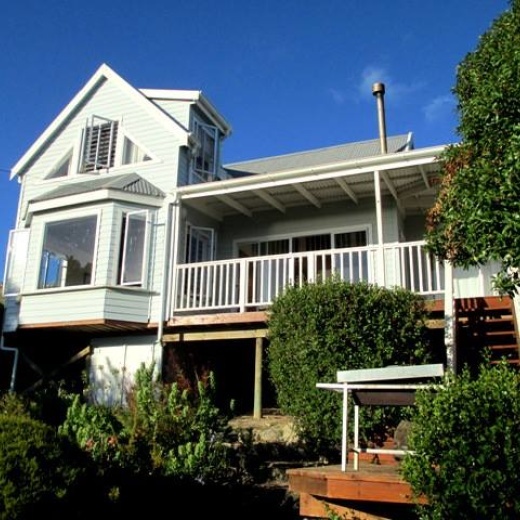 The house accommodates up to six guests and it has the most beautiful mountain and sea views. 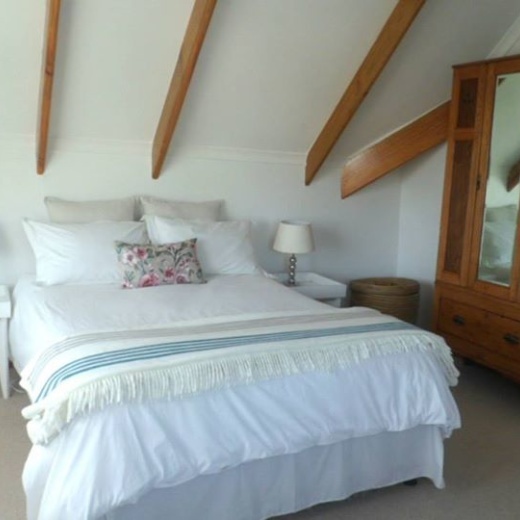 Two of the bedrooms have queen-size beds and the third bedroom has two single beds. 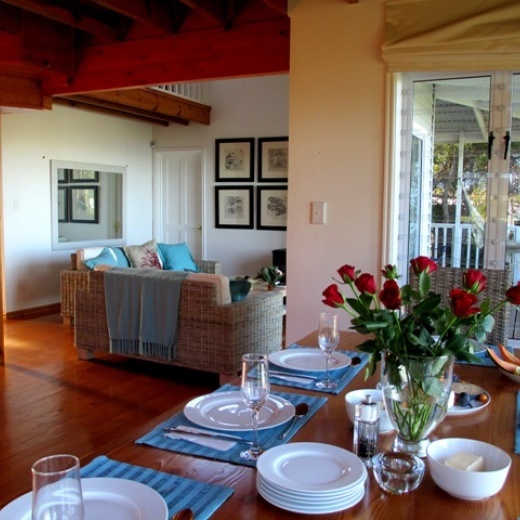 There is a TV with DStv and the kitchen is well equipped for self-catering. 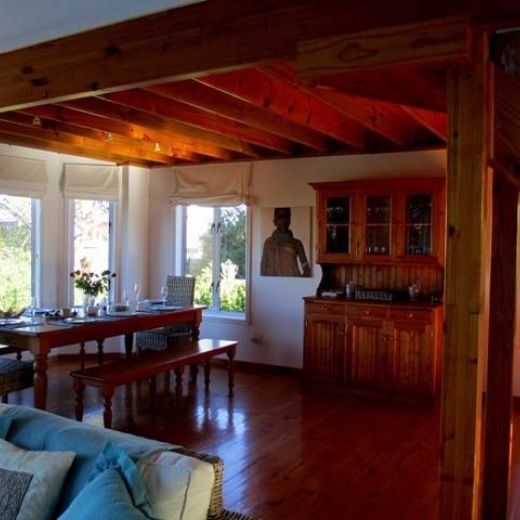 The house offers an indoor fireplace and a lovely outdoor balcony and lower deck that leads down to the private garden with braai facilities. Domestic Services can be arranged. Cape Town is an easy 40 minute drive and local amenities such as supermarkets, shopping malls, doctors, petrol stations are all within easy reach.